Genuine Toto Flapper, 3 inch is rated 4.3 out of 5 by 123. Rated 5 out of 5 by HPL from Perfect fit! ... Perfect fit! Rated 5 out of 5 by ss from Easy to replace, instruction were clear and easy to figure out. Easy to replace, instruction were clear and easy to figure out. 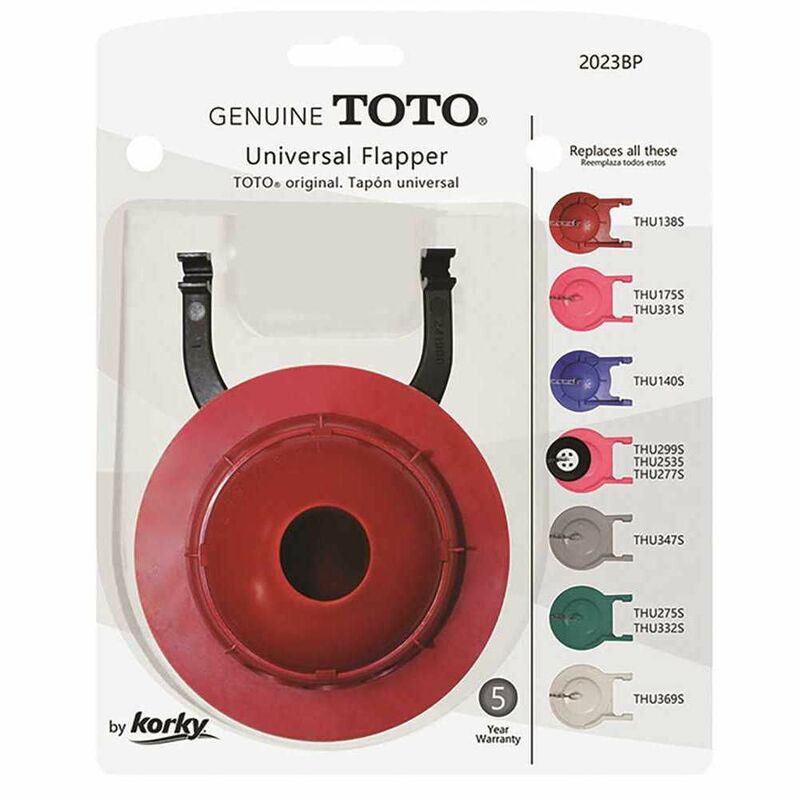 Rated 5 out of 5 by Kevin from I recently purchase this TOTO universal flapper to replace my old one ad was impress with how eas... I recently purchase this TOTO universal flapper to replace my old one ad was impress with how easy it was to replace. Rated 5 out of 5 by Roland 99 from Great product! I bought this flapper as a replacement to the original Toto flapper that was constantly leaking causing the toilet to continually flush on its own. So far, after about 2 months it is working flawlessly. Very simple to install. Rated 5 out of 5 by Kevin from The directions were very clear and the flapper was very... The directions were very clear and the flapper was very easy to install. Rated 5 out of 5 by nalubabe from Works better than the flapper that came with the toilet. Works better than the flapper that came with the toilet.